The journey of Lewis and Clark and the Corps of Discovery stands as one of the United States' great adventure tales, and it is fascinating history gripping our imagination as both children and adults. Many of us fantasize about what it must have been like to travel into uncharted territory, surviving on our wits, teamwork, and the help of people met along the way. The journey took Lewis and Clark through the present-day states of Missouri, Kansas, Iowa, South Dakota, and North Dakota, which had already been traveled and charted by white explorers. They then moved into the uncharted lands of Montana, Idaho, and Washington, culminating with a passage along the Columbia River to the Pacific Ocean. 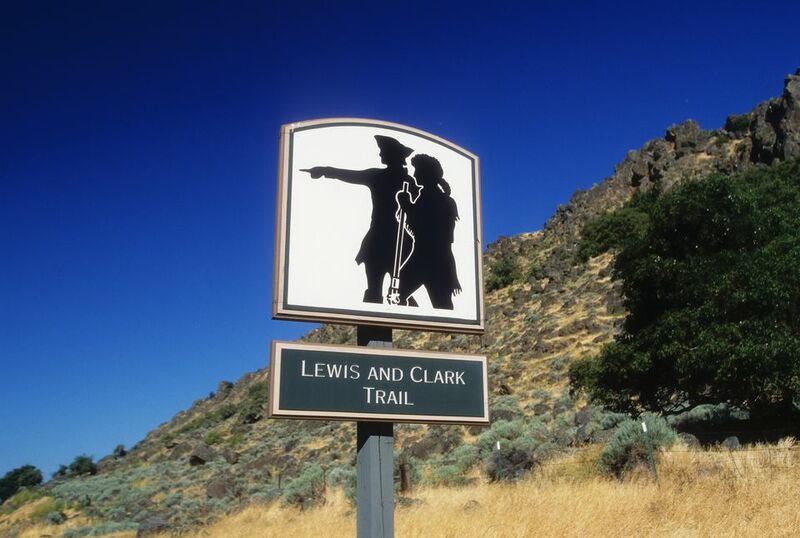 You can choose from an extensive list of Lewis and Clark sites to visit on your road trip. Along the way, you'll see amazing scenery, fabulous wildlife, and diverse landscapes. Some locations along the Lewis and Clark Trail are easy to get to, others require off-road or water transportation. This 1,700-historic site contains archeological and historical points focused on the Northern Plain Indians that inhabited the local area for more than 8,000 years. Lewis and Clark stopped in modern-day North Dakota in 1804 and would set up their best council to date with local tribes. Knife River Indian Village National Historic Site is where Shoshone Indian Sacajawea joined the Corps of Discovery to help Lewis and Clark navigate the unfamiliar landscape. Sacajawea is now considered an integral part of Lewis and Clark’s journey. Knife River has several historical programs designed for children, so make this a must-stop if you have little ones. Three Forks of the Missouri River marks the 2,500-mile mark for Lewis and Clark’s journey starting from the Mississippi River. It was also a trying time for the party since the three forks were all uncharted. Lewis decided to name the three rivers Jefferson, Madison, and the Gallatin after the former president, secretary of state, and treasury secretary. Eventually, the group decided to take the Jefferson River for the next portion of their trip. Modern Three Forks is home to Missouri Headwaters State Park, a terrific place for fishing, kayaking, and a wonderful place to park your RV or camper. Lewis and Clark first encountered the Nez Perce tribe in September 1805. Though the Native Americans were wary of the men at first, they eventually warmed to the travelers and became one of Lewis and Clark’s best allies in their journey west. The modern Nez Perce National Historical Park is made up of 38 individual sites spread around four different states. Try to find your way to Canoe Camp in Idaho, where the Nez Perce helped Lewis and Clark construct canoes for their travels. Journey to Weippe Prairie where the Lewis and Clark Corpsmen and the Nez Perce met for the first time. The modern Portland, Oregon didn’t exist when Lewis and Clark made their way through the area but has since grown into one of the more unique cities in the country. There’s plenty to do in Portland with a thriving arts and culture scene, food from all parts of the world, and countless ways to kill time. If wine is your thing, you can venture out to nearby Willamette Valley for tastings and tours. If you’re determined to keep your Portland visit Lewis and Clark-oriented, you can try Portland’s Oregon History Center. You can also journey along the nearby Columbia River and follow Lewis and Clark’s trails along it with stops at Beacon Rock. And the Government Island State Recreation Area. A Lewis and Clark-themed adventure doesn’t make much sense if you don’t visit Lewis and Clark National Historical Park. No worries if you have little ones - the Park is full of great activities for the whole family. If you like to sweat, you can hike or take your history-viewing to the water with canoeing and kayaking. If you’re more into history, you can view the programs at Fort Clatsop which include firing demonstrations, historical education about surviving the Pacific Northwest, and ranger-led history tours. Historical sites found in the Park include the Salt Works where the band manufactured their salt from seawater, Dismal Nitch where a storm trapped the Corpsmen for six days, and Middle Village where Lewis and Clark plotted the Columbia River and made friends with local Chinook tribes. By this point in your journey, you’re close enough to take advantage of the legendary Pacific Coast Highway, also known as Highway 101. Lewis and Clark may not have had a V12, but that doesn’t mean you can’t enjoy the views of the ocean and surrounding scenery that captivated the Lewis and Clark party when they first glimpsed it over two-hundred years ago. The nearby 101 can take you to several local points of interest like Tillamook State Forest and Nehalem Bay State Park, and other sites along the Lewis and Clark journey including Cannon Beach. Every road tripper needs to spend at least fifty miles on the Pacific Coast Highway, and this stretch of it is a fantastic way to do it. The Lewis and Clark camp was anything but disappointed when they arrived here in November of 1905. This is what the Corps of Discovery had been yearning for the entire journey – a glimpse of the Pacific Ocean. This area is now present-day Cape Disappointment State Park, an excellent starting point for any Pacific Northwestern adventure, and close to both the Columbia River and the Pacific Ocean. The area offers of miles of trail through old-growth forests, freshwater lakes, tidelands, and saltwater marshes. Why such a somber name if it was a happy time? It wasn’t named by the Corps of Discovery but rather by Captain John Meares, who failed to cross it in 1788. 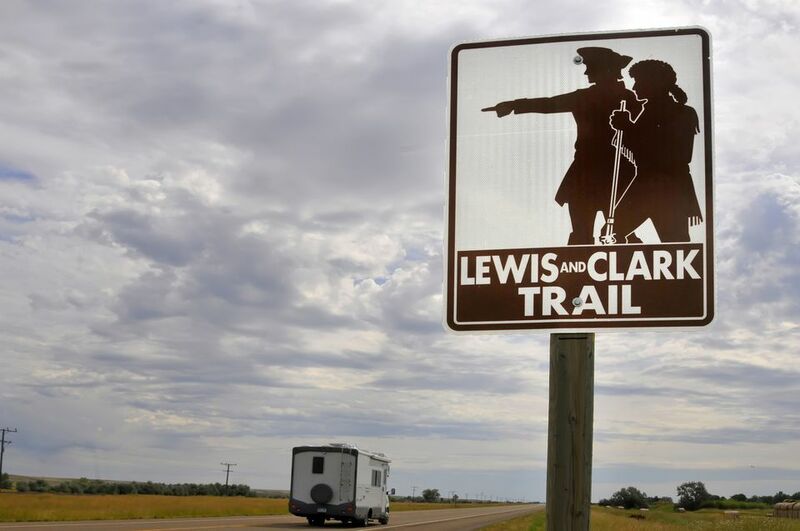 Where Will the Lewis and Clark Trail Take You Next? The Lewis and Clark adventure continues. It's not too late to experience your journey of discovery. Looking for something well off the beaten path? Try a paddling trip through the Upper Missouri Breaks in North Central Montana. Looking for a single region that offers many Lewis and Clark sites along with lots of other attractions and amenities? Try a few days in Astoria, with day excursions to Seaside and Cape Disappointment. Is a scenic driving tour your desire? The route from Missoula to the Pacific Ocean offers diverse and magnificent scenery. Each of these options ​provides opportunities to stand where Lewis and Clark stood, to experience the same landscape they encountered, and to feel the wonder of discovery.